We here at Superior Computers have one goal – to provide our customers with solutions and services that benefit their business and personal needs. We’re helping people see how we combine technology with our knowledge, experience, professionalism, and common sense in order to provide uncommon customer satisfaction. What business doesn’t have a network these days? From as simple as sharing Internet access to a wide-area VPN network spanning several cities, everyone is putting network technology to work. However, it takes more that just a few cables and a hub to make a network actually work efficiently. A network needs to be properly designed for your application in order to give you the best benefits for your investment. 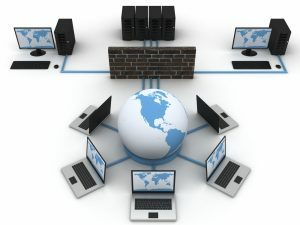 Superior Computers can take your network from the design phase all the way through installation and maintenance. Network maintenance contracts are a great way to relieve you of the burden of network management, and plans can be customized to fit your individual business needs. Some businesses have the know-how to perform tasks such as managing users on their network, while others feel more comfortable having us performing all management. We can remotely manage network functions such as adding/deleting users, performing software updates, and monitoring data backups. Our systems are all custom manufactured by Superior Computers. These systems are crafted using only quality parts. We only use parts for your systems that we would use for our own systems. Why does that matter to you? By using quality parts, you can expect higher performance and fewer problems. From desktop workstations to servers, each unit can be fully customized according to your specifications and requirements. When something does happen, we can minimize downtime for you due to the fact that we built the system and know exactly what you have, and we don’t utilize foreign call centers, you get actual person that speaks your language when you call. In our retail sales section, you’ll find an assortment of parts and accessories for those who want to build their own systems, or those knowledgeable to make their own repairs. We can order any specific components that we do not usually carry, and can find most any OEM part, even those discontinued by their manufacturer.